We have all heard the idea that UFO crafts may be both machine and living creations. I have heard theories that talk about the crafts we see in our skies being not only alien made but of living material. The theory is that UFO's may be a combination of machine or part machine and part organic. Others think some forms of alien crafts are 100% living creatures. The idea becomes more realistic to me as I watch our own advances in science cross over to applying man made parts into our own organic bodies. We long ago passed over into the world of fake body parts. Hip replacements, knee replacements, pace makers, even breast enhancements are all man made parts inter graded into our human bodies. We have been manipulating our food source with engineered food grown from genetically altered seeds which is on the rise and looks to be our future. We talk about genetically engineered humans or designer babies. It is obvious we are on a rapid path to becoming a species of humans inter graded with machines. Time will tell us how far we take this hybrid road in the future. We have choices of course to use these advances for the good of humanity or to use them to wipe out humanity to something else- something more cold and steal rather than warm and human. I fear this outcome but realize that the human race does not always take the right course of action and understand almost anything is possible as far as our future is concerned. Knowing we are on this road of human , machine technology combination I understand societies far more advanced than we are may also have crossed this path long before us. With that said I do not find it unreasonable to believe the creatures that visit us may be combination's of living material and intelligently designed machine. Those who are far more advanced than we are may have found a way to send living machinery out to do the investigating of the universe. Living machines that may have been developed to use the matter of space as an energy source or food yet intelligent enough to carry out a universal mission . There may be degrees of such machines that travel with large alien inhabited crafts that are able to be released into different atmospheres with ease to gather information or investigate planets closely. It may be the alien equivalent of our guard dogs , security cameras and unmanned planes we send in for spy maneuvers. I received a extremely interesting report from one of my readers concerning an event she experienced that may have been part of this theory in real action.
" I live in a small town in West Virginia and was on my way to Huntington WV for a craft show. I was traveling with a friend who was driving. I was in the front passenger seat. We were driving south on old Rt.. 2 along the Ohio River. It was after 6 pm and already dark. Traffic headlights were on. We passed through the area of Apple Grove passing over the railroad tracks . This took us to a long straight stretch of road . We were the only car on this portion of the road and did not notice any cars behind us. The oncoming traffic was quite a distance away . It was a clear day. We were driving with the radio on and the windows up. We were discussing the logistics and setup of our craft booth as we drove. Suddenly from the right side of the car over the river from the corner of my eye I noticed a shape in the air. A smooth grey winged shape swooped in a large figure 8's over the road in front of the windshield of the car. It happened as fast as you could blink your eyes 3 times. It looked like it was going to smash into the windshield. It was grey, smooth and translucent. The only light directly on it was from the oncoming headlights of the traffic coming towards us. As the lights hit it the creature seemed almost translucent like a jellyfish. I could not tell if it was the oncoming head lights reflecting off of it or if it had an actual shine to it. Its wings were very long- stretched out and pointed on the ends. I was not aware of a head, tail or feet . I could not see what the surface texture was like. It happened so fast we were left more with that first impression rather than deep detail. There were no apparent lights on it. I would guess that its length was at least 15 feet from wing tip to wing tip. We were on a two-lane road and it was wider than the road. It was not a bird, not a kite, and did not look like a machine because it seemed flexible and more alive than a machine somehow. The shape had very little thickness like a bat it had a flattened shape. I did not notice any type of ribs or spokes or bone structure on the wings. This creature thing flew ahead of us while it banked in swoops of figure 8 loop formations. I could see the different angles of the wings as it turned. They did not flap, but seemed to stretch wider as it swooped in front of the car. When it turned it looked transparent at times. It would dive low only about 5 feet above the road surface. We watched as this creature continued its flight path and dives until suddenly it was just not there. I got a better look at it than my friend as he was driving. He saw that it was grey and transparent. He noticed the underside of the wings and said they looked raggedy like pieces were coming off the edges. He did not notice a head, tail or eyes. I have drawn what I saw and recall of this incident. This event occurred on Dec. 3, 2004." This is a very unusual report. It is however not the only one I have come across of people seeing orbs or odd shaped objects or creatures that seemed more alive than piloted in the sky. I have to wonder if we are overlooking the possibility that many sightings we are reporting are of living or part living objects? Watching as we enter into a era that may be a huge shift in our own evolution as a species I can only consider the idea that others before us already have walked this road and we are seeing the result of this in many UFO sightings . Can we be looking at our future ? If so I am not sure I like what I see. This is all part of the unknown we do not understand. I can only hope one day we advance enough to understand the universe around us and the creatures and life forms we share that space with. With so much going on I have to wonder why we are so happy to stay stunted in the dark with most things paranormal while holding so tightly to a past and life style that will move ahead and quickly change like it or not. We would all be far more better off if we understood the unknown however I know humans do not handle change well or the unknown. I think things paranormal will be held off and kept in full denial as long as possible by a fearful close minded society. I do know one day we will all have to understand that the future will march on and society is going to have to walk with it or be left behind. The Odd Times in Which we Live and the Strange Ways we Deal with Them! 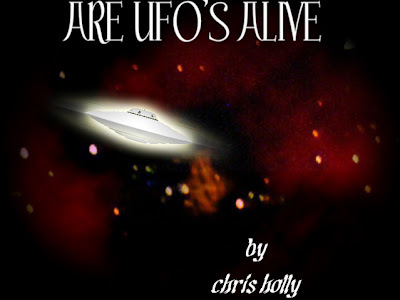 CONFUSION REIGNS AS UFOS AND ORANGE LANTERNS COMPETE!